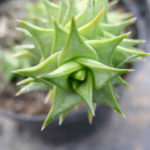 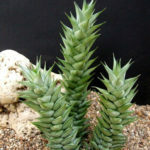 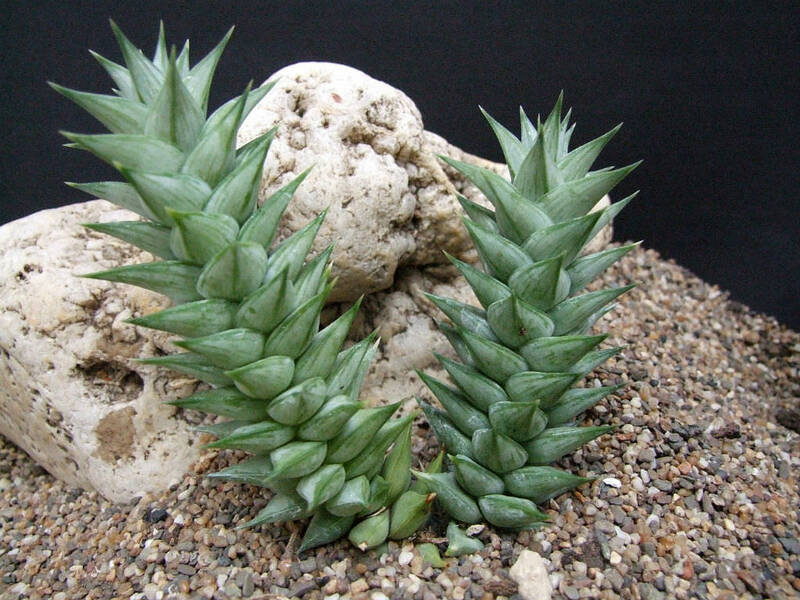 Astroloba herrei is a compact Astroloba species, with stems growing up to 8 inches (20 cm) high, that are densely covered in pointed succulent leaves. 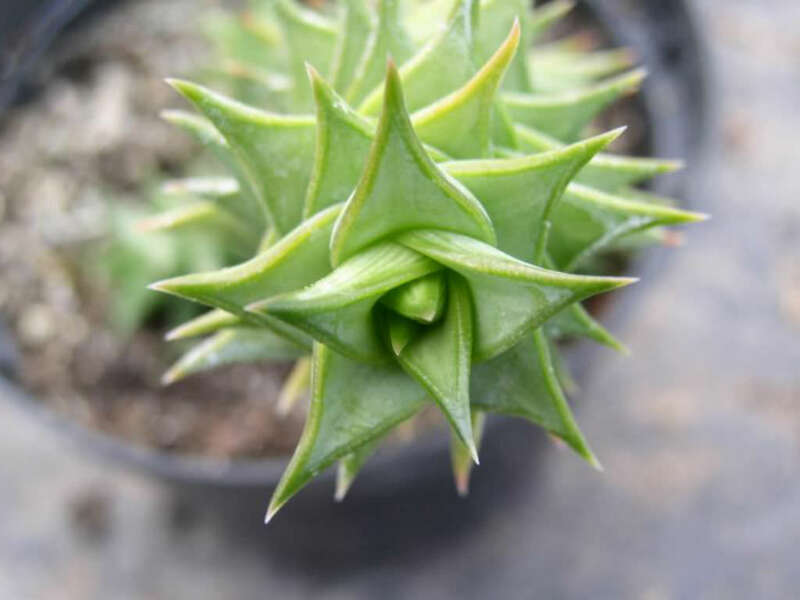 With its sharp, grey-green, keeled leaves, and its puffed up, inflated flowers, the species is easily mistaken for the closely related Astroloba spiralis species. 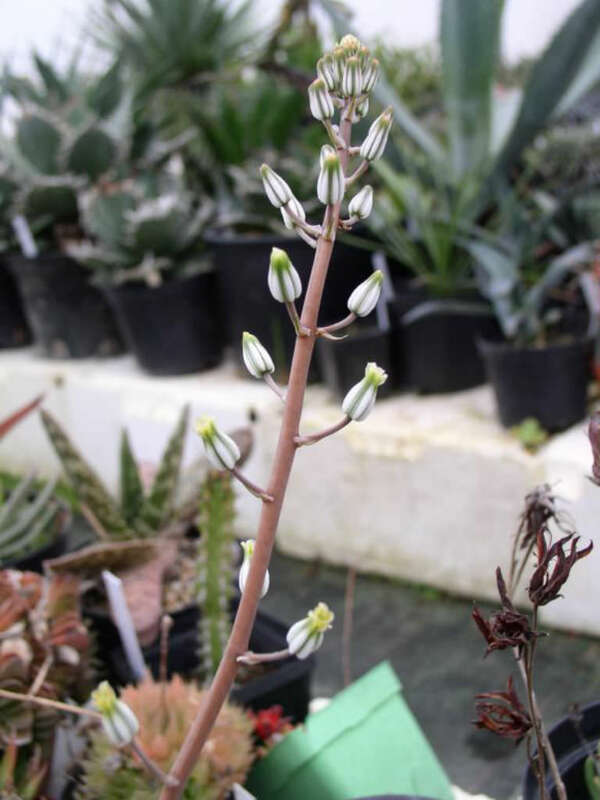 However it is genetically distinct and can always be distinguished by its flowers. Both A. spiralis and A. herrei have puffed up, inflated flowers, but those of A. herrei are smooth (unlike A. spiralis, which has a wrinkled, transversely rugose, perianth). 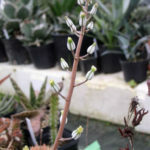 Flowers appear from June to November. 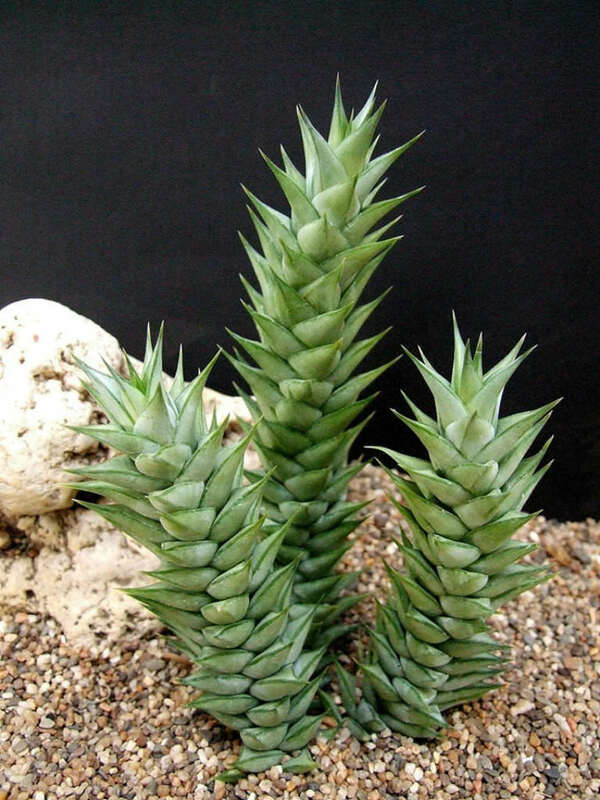 Astroloba herrei is native to South Africa (a small area of the Karoo, on the border between the Western and Northern Cape).